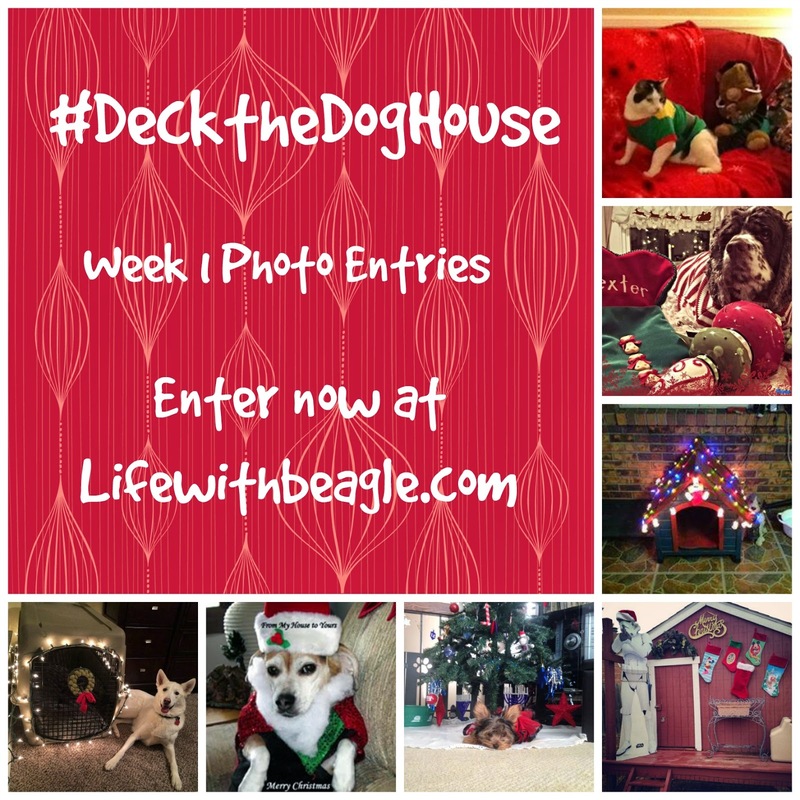 I am in love with the entries we've gotten so far from the #DecktheDogHouse photo contest! 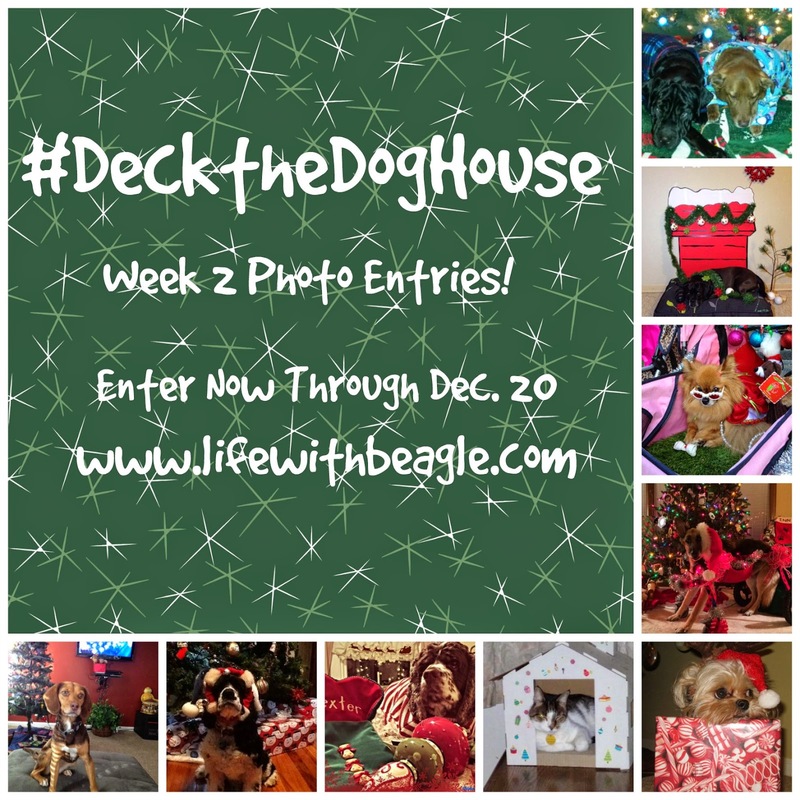 Pet owners decorate their pet's living spaces and take pictures! Enter to win prizes from Hallmark's Peanuts Collection! Full details can be found in my previous article. Here's a look at some of the awesome entries we got in our second week! Have you entered yet? Why not! It's really easy, and if you don't really want to decorate for real, just use a paint program like Gimp, Photoshop, PicMonkey and more! Decorate your dog's dog house, crate, bed or living space. Don't have a dog? This contest is open to cats, rabbits, birds, ferrets, rats, turtles, fish, chickens and other pets! Just enter on Life With Beagle's Facebook or Twitter accounts. 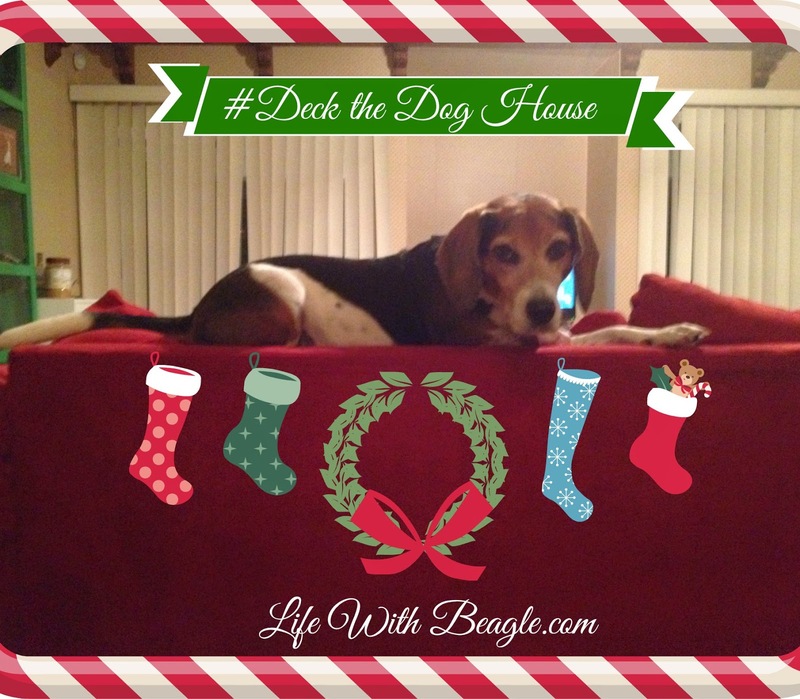 Be sure to use the hashtag #DecktheDogHouse, so I can find you easily.You can also email me at lifewithbeagle@gmail.com. You have until Dec. 20!! Good luck! So many wonderful, festive entries!